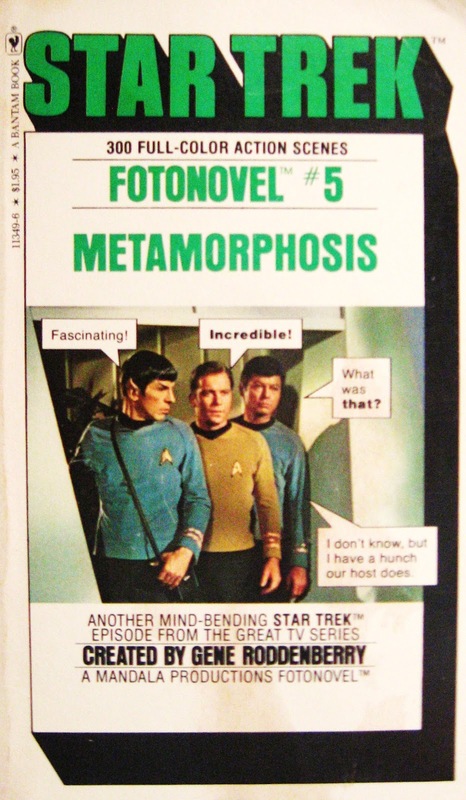 As part of my ongoing 2016 Star Trek 50th Anniversary celebration, I posted at Flashbak this week about a favorite franchise collectible: Mandala's "Fotonovels." “If you grew up in the mid-1970s, you’ll remember that photonovels represented an essential part of fandom during that epoch. The photonovel was essentially a visual re-telling of a movie or TV episode The book featured hundreds of frames or still from that production, as well as “balloon” dialogue from the script or teleplay. 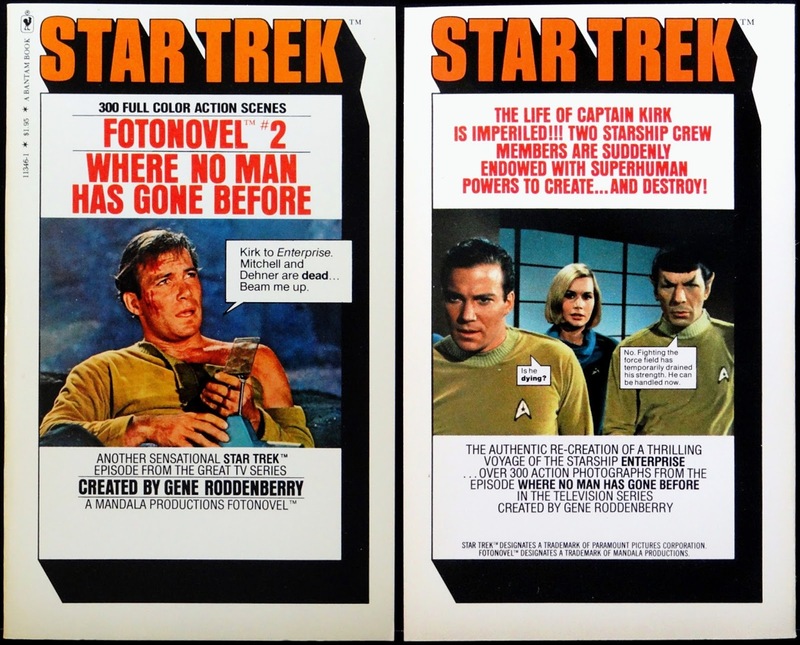 The Star Trek fotonovels, for instance, were advertised as featuring “300 full-color authentic scenes” from each of the episodes featured. Loved my Fotonovels, especially since I lived in a media market where no station would buy into showing syndicated reruns from 1976-79. And from 1973-76, they showed the reruns Saturday mornings at 5 and 7 AM, which was a little too early for me. The Fotonovels were the best. As a boy in the '70s, I collected Star Trek and others. I had all of these! The pages would fall out of them pretty easily, and I managed to find replacement copies in used bookstores. 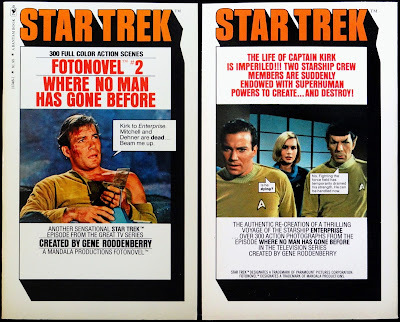 I agree with you that the Fotonovel for "Where No Man Has Gone Before" was the best. I just stared at that matte painting of the lithium cracking station on Delta Vega, absorbing every detail. Brings back memories.